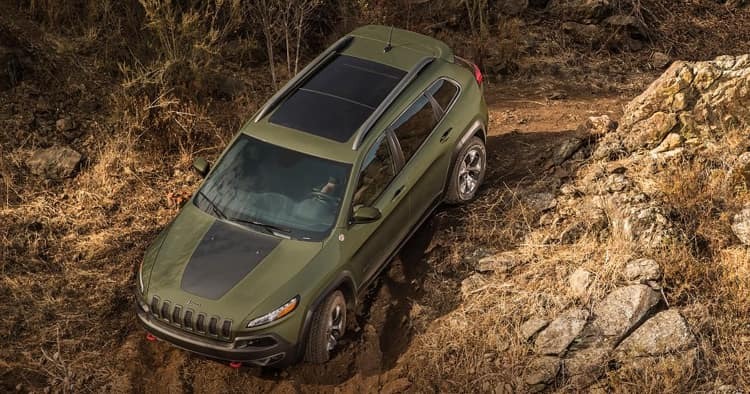 The 2018 Jeep Cherokee brings a variety of new looks, impressive horsepower, and top-notch performance. 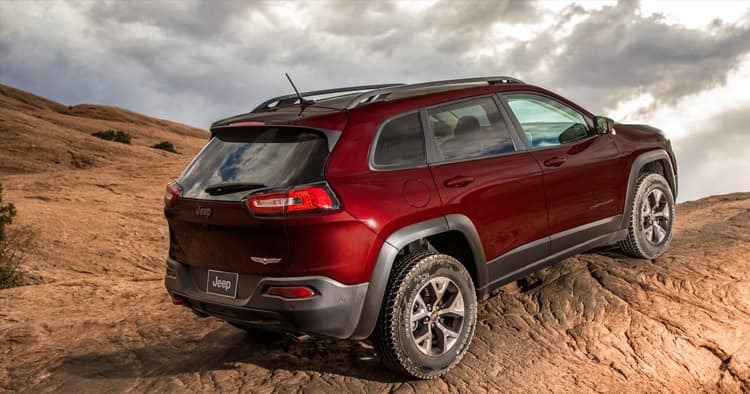 For a quality ride in a trusted brand, consider a Cherokee for your next travel adventure. The 2018 version has several trims to fit individual needs. The available trims include the Latitude, Latitude Plus, Limited, Overland, and Trailhawk. For a smart look, dual chrome exhaust tips and the seven-slot front grille add a splash of sass, and for travelers, roof rails make it easy to carry equipment and luggage. Deep-tinted windows provide privacy, while a fixed rear window and variable intermittent wipers provide a clear view. Power is present with the 2018 models featuring two options. Select the four-cylinder 2.4L I4 Multi-Air engine that produces 184 horsepower at 6,250 revolutions per minute (rpm). For more power, there’s the V6 equipped with a 3.2L 24V VVT with ESS engine producing 271 horsepower at 6,500 rpm. 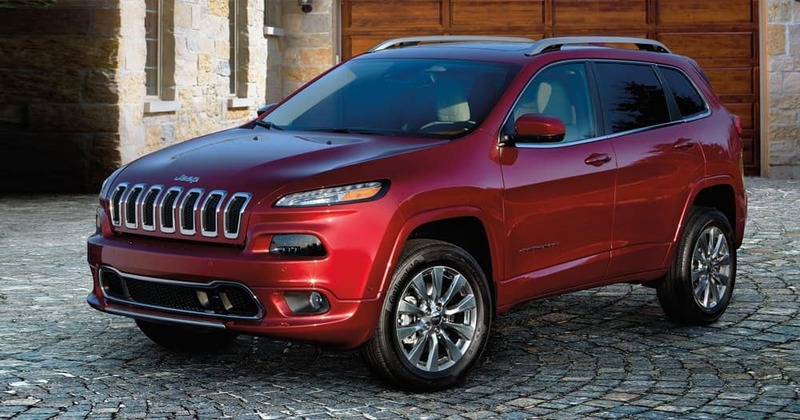 The Cherokee also comes standard with a nine-speed transmission. Also available is four-wheel drive (4WD) or front-wheel drive (FWD) both with impressive torque ratings. The 2.4L produces 171 pound-feet of torque at 4,800 rpm, and the 3.2L produces 239 pound-feet of torque at 4,400 rpm. If gas mileage is a priority, the 2018 is competitive with all models. Miles per gallon for the city and highway rating for each model is as follows. The 2.4L 4-cylinder has variable gas mileage ratings among its FWD and 4WD models. These include 21/30 mpg for the FWD, 19/25 mpg for the 4WD, 21/28 mpg for the 4WD with Active Drive 1, and 21/27 mpg for the 4WD with Active Drive II. The 3.2L V6 also has variable gas mileage ratings starting with 21/29 mpg for the FWD. The 4WD mpg is 18/24, with Active Drive I it is 20/27 mpg, and 18/26 mpg with Active Drive II. Each model has the signature styling Jeep is known for. 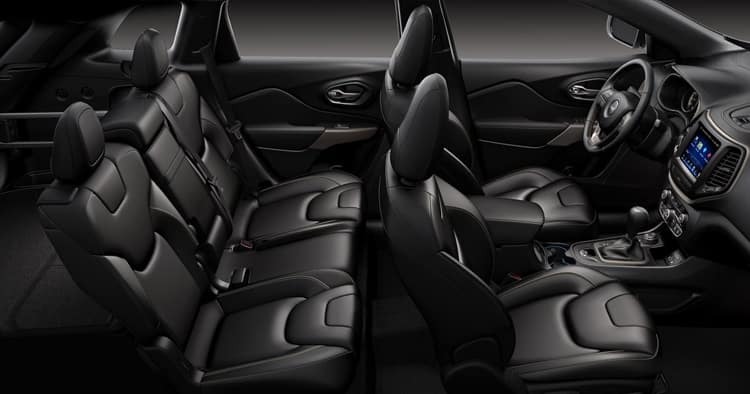 Not only is the interior comfortable with ample room with its five-passenger seating, but each model also provides a roomy cargo storage area. Bucket seating, available in leather or cloth, include individual model features such as power seat adjustments, second-row seats equipped with forward/backward adjustments, folding options, and heated seating. Entertainment and technology are not lacking in the 2018 Jeep Cherokee. Available features include Uconnect with either a 5-inch or 8.4-inch display screen, integrated roof antenna, wireless streaming, multi-speaker audio system, SiriusXM radio, navigation system, dual-zone climate control, Bluetooth, a 115-volt A/C outlet and USB ports. Features focused on convenience for the driver and passengers include remote keyless entry, illuminated entry, front and rear cupholder, day/night rearview mirror, front and rear map lights, and trip computer. Cherokee’s safety features are designed for passenger and driver safety with a variety of standard and available features. The 2018 models are equipped with full-length side curtain airbags and front-seat knee airbags. Overall, the Cherokee has ten safety airbags. Drivers have access to several safety features that include the Parkview Rear Back-Up Camera, Blind Spot Monitoring system, Park Assist, perimeter alarm, and the LaneSense Departure Warning and Forward Collision Warning systems. The 2018 body for each model is constructed with steel, which adds another layer of protection in the event of a crash. The SUV also features child safety locks, side-impact beams, Roll Stability Control, and Electronic Stability Control. 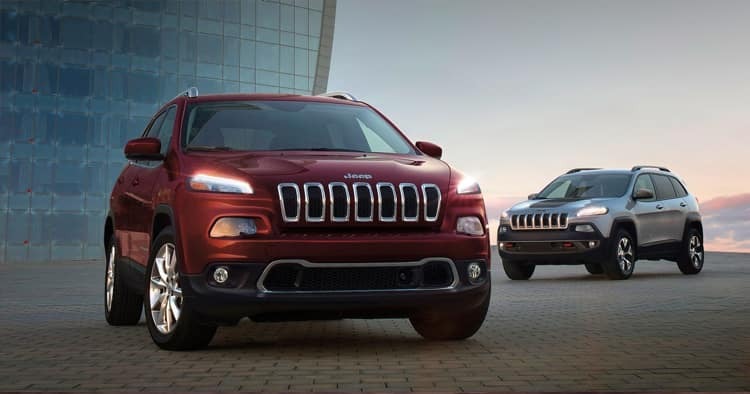 The Jeep Cherokee provides a variety of power, pulling, and performance features to each of its 2018 models. 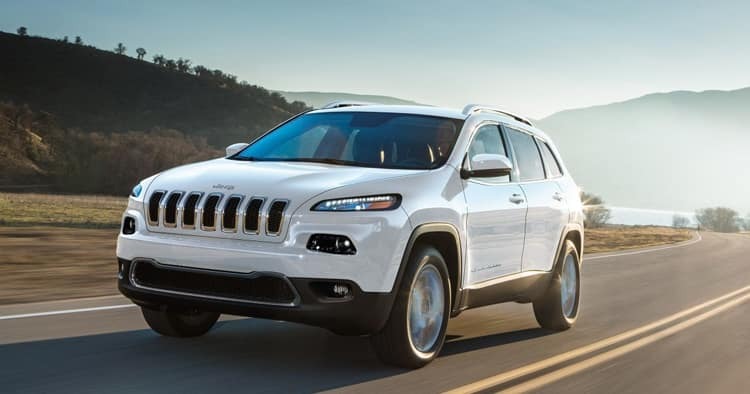 Get behind the wheel of the 2018 Jeep Cherokee and schedule a test drive today!